Our collection in two words? ... and enjoy the show! Markus Jayne Ball Pythons. Always Evolving. 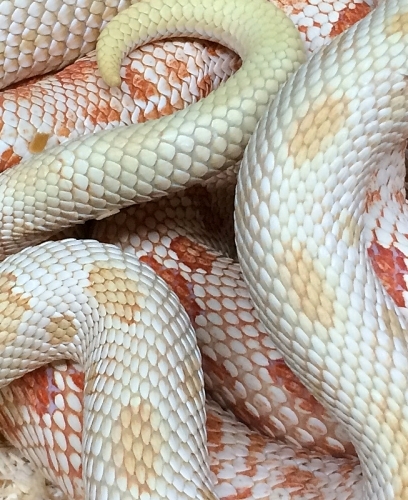 Looking for seriously beautiful snakes? 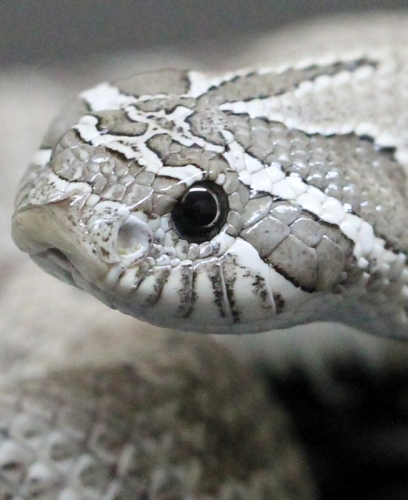 Look no further than our huge selection of the finest examples of Ball Pythons and Western Hognose morphs on the planet. You can judge for yourself. Blogs that are anything but blah! An exciting mix of writing, photos and videos will take you inside Markus Jayne Ball Pythons and keep you up to date on all our exciting projects and news. 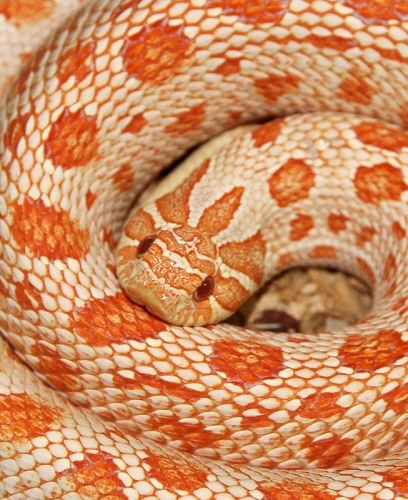 Simply put… Our goal is to breed incredible snakes and total client satisfaction. As breeders of quality Ball Pythons and Western Hognose, we know that our reputation is in the hands of our customers on a daiy basis. 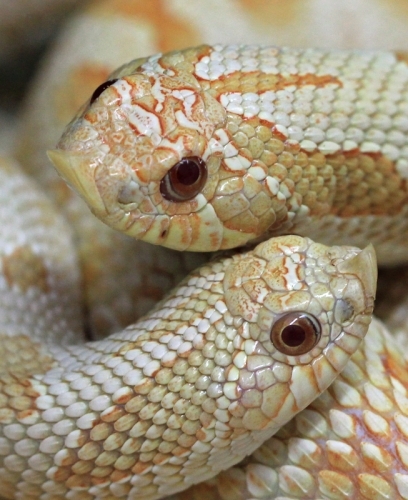 Which is why we only sell stock produced under our rigorous specifications — our state-of-the-art facility, our rodents, even our rodent feed, are carefully managed to produce snakes that are well-established, healthy and thriving. The kind of stock we would want to purchase. We are 100% confident that we will exceed your every expectation. We deal in the best and are proud of it. Markus Jayne. 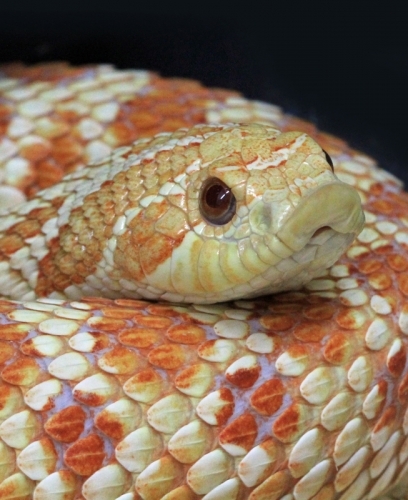 Offering quality over quantity in Ball Pythons and Western Hognose! I've had the pleasure of dealing with Mark several times over the past few years. Not only to purchase snakes, but also in collaborations in other areas. His knowledge of snakes, the industry and life in general separates Markus Jayne Ball Pythons from most breeders. Mark is very approachable to ask a question or just talk about topics totally unrelated to snakes. His snakes are top-quality and his selection is second-to-none. Given the choice, Mark is always the first breeder I'll contact to bring new breeding stock into my collection. Exceptional quality — my first priority when selecting an animal to own is having the best example I can find. You don't have to look very far when dealing with Mark, he consistently produces amazing animals. His breeding stock is refined with every season, constantly setting the bar higher. I always look forward to seeing him outdo himself... In my opinion, Mark a world class ball python breeder, and is Canada's best. I am proud to say I have many of his animals in my collection, and I always look forward to our future transactions. I began to build my collection and strived for top examples of certain morphs and more often than not, this lead me back time and time again to Markus Jayne Ball Pythons. Mark’s dedication to selective breeding over the last decade shows in his stock, and this immediately caught my eye, but it was the person that kept me coming back. He may be a “big breeder” but he is sociable, professional, and a fountain of knowledge. Today, I consider him a friend and a pillar in the industry and would gladly recommend Markus Jayne Ball Pythons to anyone looking for superior quality animals. I have been purchasing Ball Pythons from Markus Jayne for years. Mark has always kept great communication with me and given great advise, even when I was not purchasing one of his animals. His animals are very well cared for and always come well fed and healthy. Mark is a fantastic guy to deal with and I will not hesitate to do business with Markus Jayne again. Top-quality balls and boas, knowledgeable, friendly and flexible customer service made past dealings a real pleasure. It is nice to be able to find a world-class breeder north of the border and I look forward to all my future dealings with Markus Jayne Ball Pythons. "We have purchased several ball pythons from Mark over the past few years. Mark produces not only high quality animals but he works with some of the best examples of the morphs he is producing. We have been to Mark's home and got to see how he keeps his animals first hand; you can tell from the cleanliness and organization that Mark truly loves what he does. It is always a pleasure working with Mark, he is one of the nicest people in this business/hobby and we hope to be able to continue to do business with him in the future. Markus Jayne Ball Pythons is at the top of our list of breeders to deal with." Since hatching out the very first Lightning Piebald (Piebald x MJ Axanthic) in 2008 we have discovered that our line of Axanthic is not compatible to the other two popular axanthic lines (VPI and Snake Keeper). As a result future project look very promising based on the fact that our Axanthic line holds on to their silver tones without browning out. We look forward to adding many other genes that could enhance this project. This has got to be one of the craziest and yet most beautiful Lightning combo we have ever hatched here at Markus Jayne Ball Pythons. Please take note that there are other Piebald Axanthics claiming to be Lightning Piebalds but unless they contain the MJ Axanthic gene, they are not true Lightnings. To see more, visit our Ball Python Collection page and click on the ‘Axanthic MJ’ gene.